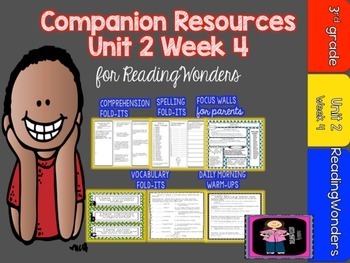 This 45 page supplemental works perfectly with Unit 2 Week 4 of the 3rd grade McGraw-Hill Wonders Reading unit. Included are additional items I have created to go along with each week. 1. A weekly skill poster- this is perfect to send home to parents because it includes vocabulary and spelling words for the week. It's also great to display in the classroom. 2. Spelling Tri-Folds- This includes 5 separate tri-folds. 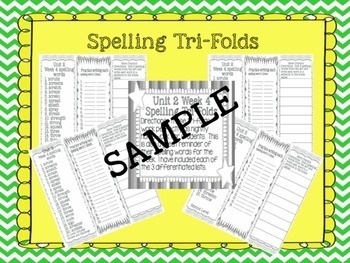 Each tri-fold contains either the on, approaching, or beyond spelling list. Also included are items for practice or homework. These are handy to send home so that parents have the spelling words for the week. 3. 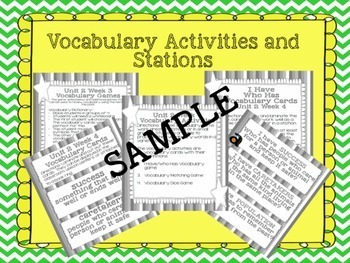 Vocabulary Stations and Activities- included are vocabulary cards with definitions, an I Have/Who Has Vocabulary Game, A matching vocabulary game, and a Roll the Dice vocabulary game. These work great in stations! 4.Daily Morning Warm-Ups- These are grammar related and comprehension skills that are taught throughout the week. This is a quick way to review and practice the skills. Also included is a weekly assessment and study guide. 5. 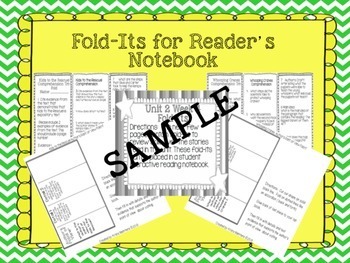 Fold-Its for Reader's Notebook- Included is a author's point of view fold-it, 2 comprehension fold-its, vocabulary word fold-its, and a compare/contrast fold-it, The fold-its cover the stories that are in week 4. Please download the preview so that you can view a sample of the items you will receive with this mega pack.